Holidays can be exciting and overwhelming for anyone with all the lights, sounds, crowds of people, and excitement. Many companies and churches are recognizing the need for sensory friendly activities or events; but when so many people show up, those too can become overwhelming. When my daughter was younger we would create all the sights and sounds of the holidays in a way that she could enjoy them in our own home. 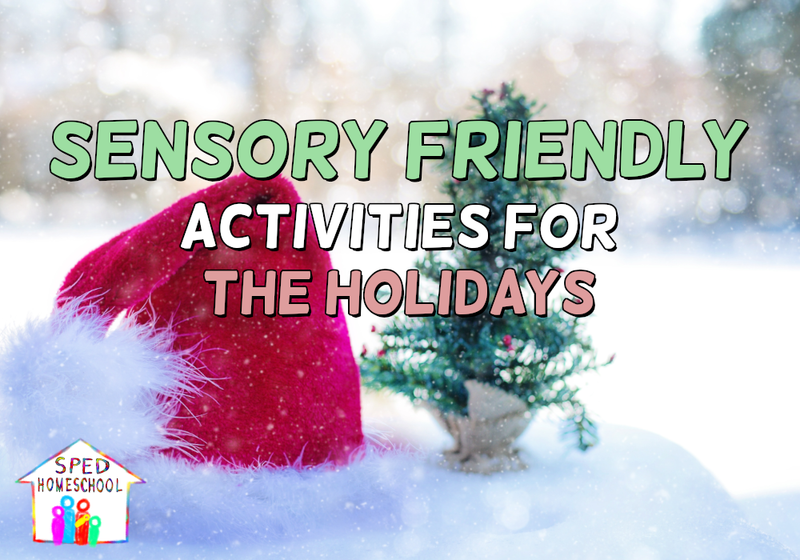 I am sharing my top 5 five fun sensory friendly activities that the whole family can enjoy. This activity combines the smells of the holiday and looks like a candy cane. All you need is white rice, food coloring, and peppermint oil or extract. Half your bag of rice and put one half in a gallon size bag with food coloring and the oil/extract and mix it well. Then take it out the bag and place on a tray to dry out for a couple of hours. When dry, mix the white and red and let the fun begin. The smell and feel of the rice is fun for any age. I love real snow, but we do not get much real snow in Houston, which means we have to make ours. It makes a great inside activity. I found this recipe and it easy to make and easy to clean up. You will need 3 cups baking soda and one-half cup of white conditioner. Mix together, and have fun. For even more fun, use ice cubes to make igloos and add in some toy penguins. My kids love homemade playdough. 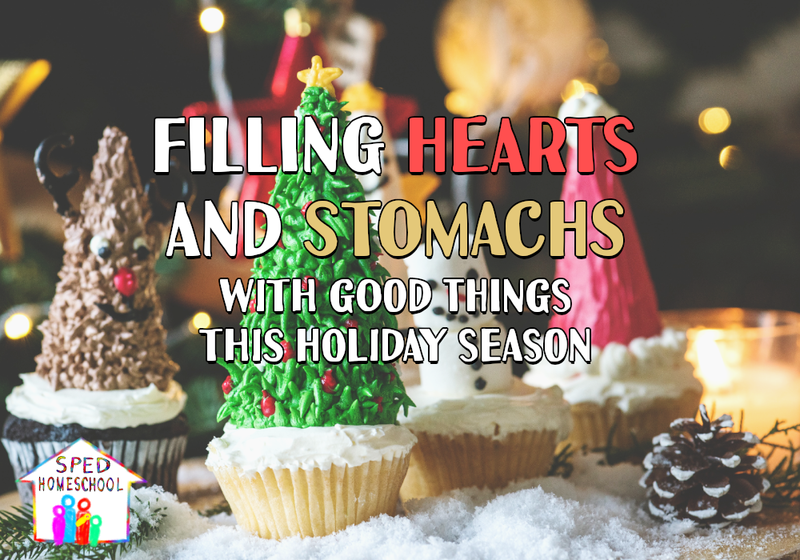 Not only does it feel great but you can make unique colors and holiday scents. I got the recipe here. After making my dough I would make peppermint for the pink or red. You can add a few drops of peppermint extract or oils. I used pumpkin spice seasoning to make my orange playdough smell like pumpkin. You can make cinnamon flavored and more. I suggest keeping in an airtight container. It also makes a great gift. Going to a display of lights or events where you walk through tunnels of glowing lights may be overwhelming to your child. When my daughter was young, it was just too much to walk around in the crowds; but she loves lights. So we started our own tradition of getting on our PJs, grabbing a drink and snack, and driving around to see lights. We would play a Christmas themed movie in the car until we would get to where we were going. We still do this activity to this day. Sometimes our kids need the warm and cozy feel in the hustle bustle of the holidays. What a great time to build a fort and read some of their favorite Christmas stories. You can add some battery-operated Christmas lights to your fort. Make it fun and memorable. Whatever you do this holiday to make it special for your family, may you enjoy the memories that you make. Over the years of working through my parenting anger issues, the biggest lesson I have learned about myself is my natural tendency to want to always be in control. I have talked about letting go of control in many areas of parenting throughout this series; control of my children’s character development, as well as my parenting approach in respect to my use of authority, of conveying acceptance, in providing forgiveness, and with my desire to restore honor. The final, and most deceptively hidden, area I needed to surrender my need to over control as a parent was time management. Controlling every single moment of every single day in my children’s lives was not healthy. Plus, if my goal was to help my children learn the skill of managing their time effectively they needed opportunities to practice. Opportunities I was denying them by always micro-managing their schedules. My blindness to my overly controlling approach towards my children’s schedules was aided by the fact that all my children deal with varying degrees of executive functioning deficits. These deficits limit their natural abilities to quickly and efficiently schedule, plan, and organize themselves. 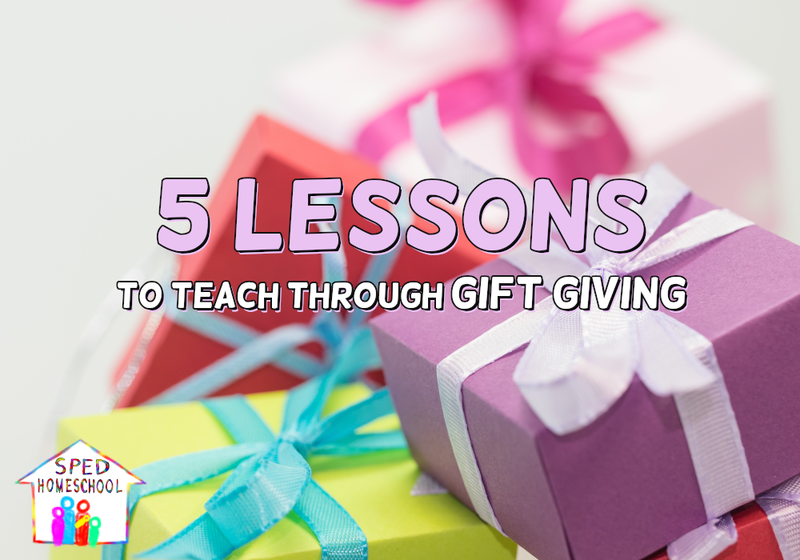 So, as a mother who is naturally gifted in this area, it was easy to just step in and take over these responsibilities for my children instead of letting go and teaching them to take ownership for their own use of time. For any parent of a struggling child, the tendency to overcompensate and take control is a constant battle. On one hand you desire for your child to learn and grow, but on the other hand the pain this struggle causes your child and often your own self (extra messes to clean up, extended length in completing tasks, etc.) is much more easily alleviated by stepping in. How then is a parent to win over this desire to control while still keeping a child on track? The answer is balance. A balanced time-management approach involves evaluating three things: your child, your approach, your tools. 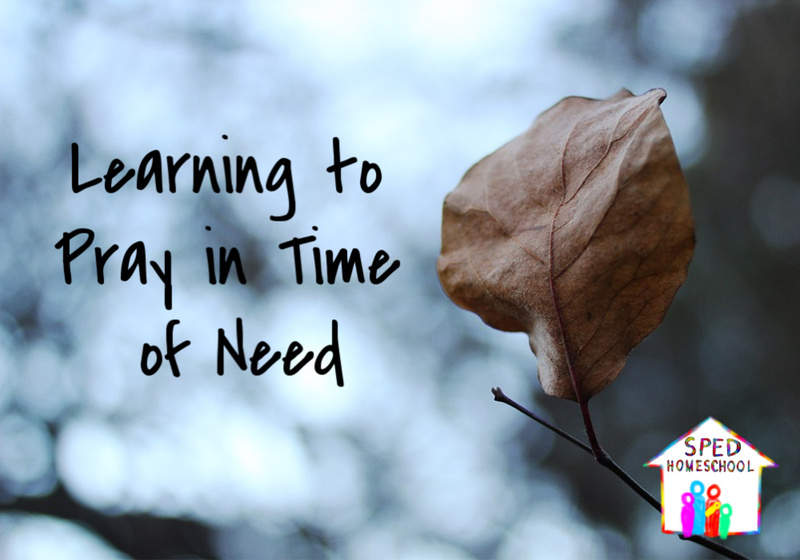 Looking at these three areas and then determining a balanced plan on how to appropriately give your child the help needed to get through a regular schedule while developing time management skills of their own along the way. Understanding the true capability if your child to manage time is critical when figuring out how much this child can manage realistically without your help. Have you ever done a critical analysis of how well your child can break down a larger task into a checklist of smaller parts to complete the whole project? One easy way to figure out your child’s executive functioning capability is to test it by asking your child to do a task which requires multiple steps. I would suggest doing this test with different types of tasks because children often have a greater ability to focus and plan when they are interested in the task (like building a Lego set) than they do when they are disinterested in a task, like cleaning the bathroom. If you have an older student, you can also use this free time management quiz. The quiz has 15 simple questions your student can answer, and then the website provides ideas for goal setting based on the deficiencies revealed by the quiz. 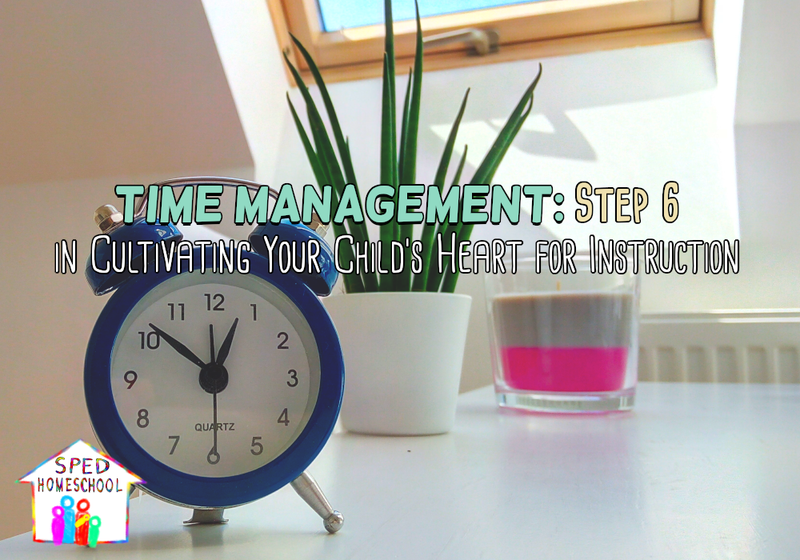 Now that you know what skills your child has for managing his own time, and which ones you need to help teach for greater mastery, you should develop a strategy for teaching time management skills. Here are some website with great resources on helping kids with mild time management issues, moderate executive functioning issues, or even more severely limited scheduling abilities. Based on how much help your child needs and what approach you feel would best help in teaching better time management, you can now start putting together your tools. The various articles above are filled with everything from digital tools to very hands-on physical tools. For our family, we did a lot of visual schedules on a huge blackboard in our kitchen when our children were very young. We supplemented that schedule with daily conversations about upcoming activities and plans to ensure our children remembered what lay ahead and weren’t surprised when we had something planned that didn’t fit into our normal routine. But, as our children grew older those schedules moved to student planners, apps, and shared documents along with the daily conversations. Knowledge has great power. 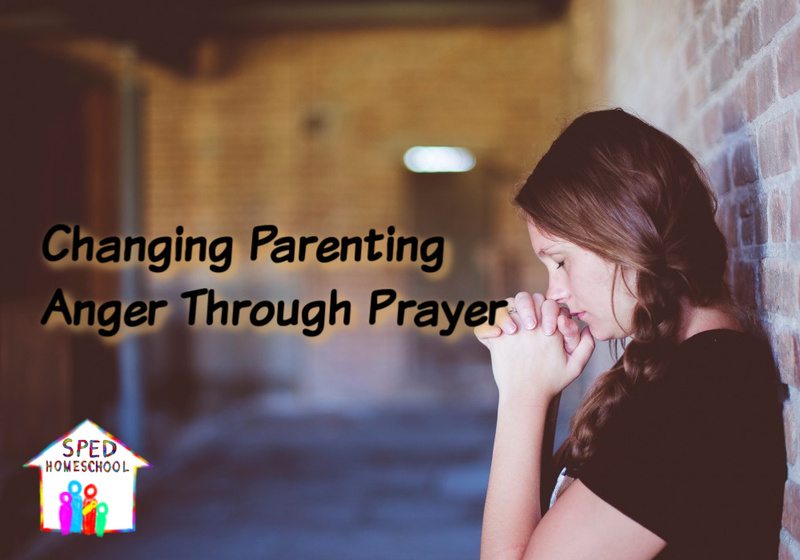 In my experience with letting go of controlling my children, knowing more about the type of help they needed and when I was becoming overly controlling greatly helped with restoring a proper parent-child relationship in our home. When I went into business for myself a few years ago, the key to success was networking. Finding other business owners who could refer to you and you would refer to in return. Networking takes a lot of time to establish relationships and build trust with others. However, over time, networking builds great business relationships. 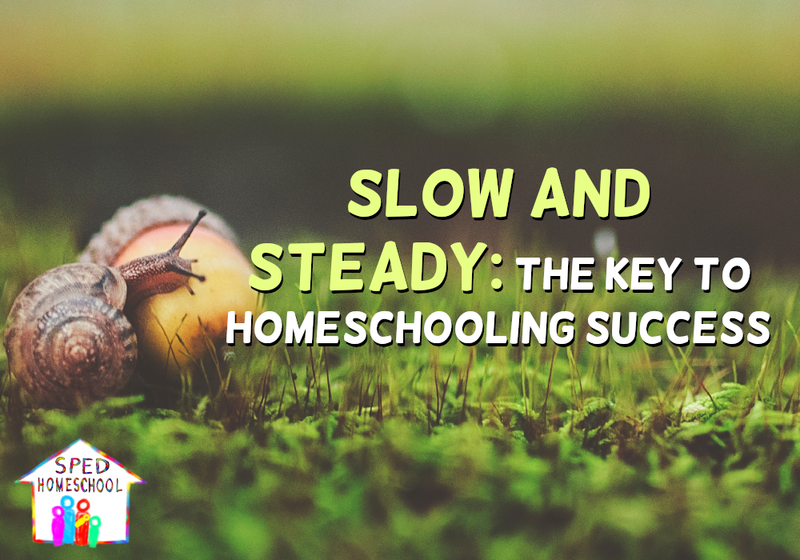 Homeschooling a special needs child is very similar to starting a business. 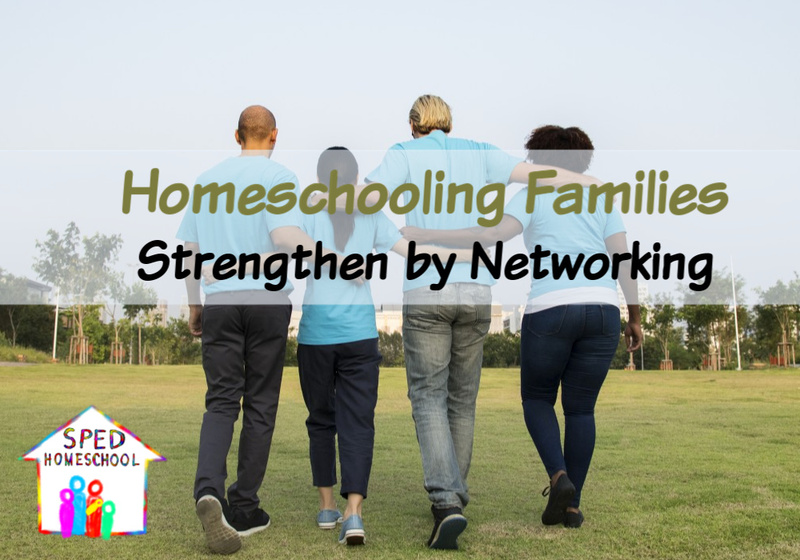 While it doesn’t necessarily take a “village” to raise a child, parenting and homeschooling a child with special needs is much easier when you have a quality network of people you can trust and rely on. From restaurants and playgroups to doctors and therapists, your entire network is vital to helping your child and you succeed. You just can’t homeschool a special needs child well all alone. In our own daily lives, we work to be consistent and build relationships everywhere we go and in all that we do. From the restaurants we eat in (who know us by name), to the therapists and doctors we see, we have worked to build relationships and select people and places that are supportive of our homeschooling efforts and lifestyle. For some families establishing these networks are easier than others. 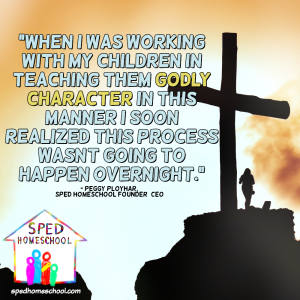 Within the next few years, it is the goal of SPED Homeschool, through our new SPED Strong Tribes program, to do much of this legwork for special needs homeschooling families as our tribes grow in local communities. 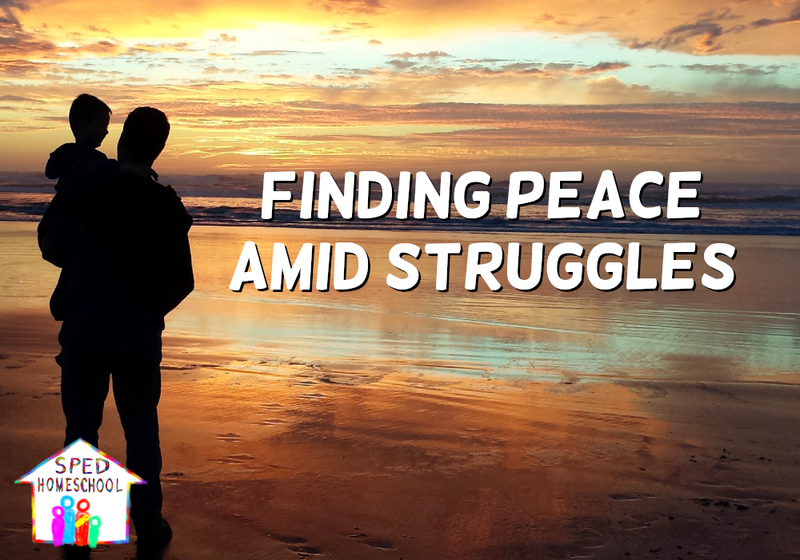 Eventually, we envision a new special needs homeschooling family will be able to join their local SPED Strong tribe and instantly be able to find all the resources they need through that group. Look for new opportunities and recommendations to expand your network. This keeps people from being overburdened and preserves relationships. Encourage a relationship of asking questions and open communication within your network. This will keep surprises from creeping up. When you come across someone who has little experience but a heart to learn, take the time to teach them. These can be some of your biggest allies down the road. Work with your Allies. Build relationships with doctors, therapists, community members, members of your church, and other people you interact with so that you have someone who knows you and can speak on your behalf in the event it is needed. Be open with people. If something is not working, say so. This will keep communication and relationships intact. Plan for time for you and for others to be able to have breaks. Be willing to accept others into your circle who are needing these same things. There will be mutual understanding when one of you is having a bad day. 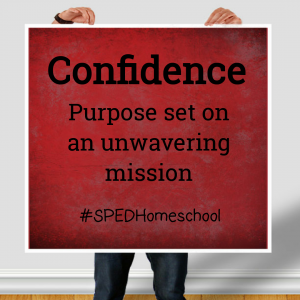 As I stated above, SPED Homeschool is working towards bringing networking opportunities to families that homeschool special needs children. 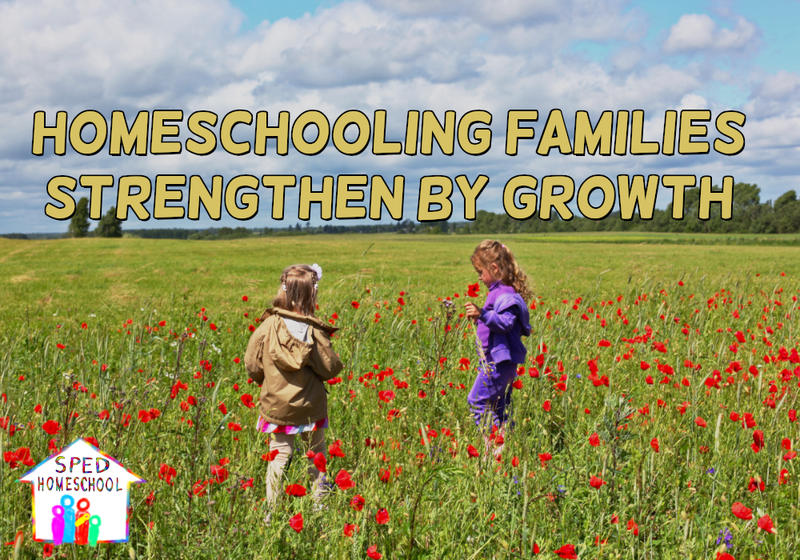 SPED Strong Tribes will be local groups that will allow families to gather together and recommend trusted local resources to streamline the process for families to find quality professionals and businesses to help with their homeschooling efforts. 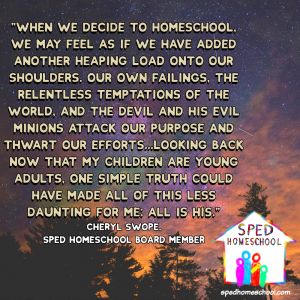 Giving Tuesday is a day nonprofits like SPED Homeschool ask for public support through donations so they can continue to provide services AND to raise additional funds for new projects. This Giving Tuesday, we at SPED Homeschool are focusing our fundraising towards this new SPED Strong Tribes program. By contributing to this campaign, together we can build stronger families.